Now the Amherst, MA, forward will get the chance to play before the fans at the University of Virginia, a Division 1 soccer powerhouse that won its most recent NCAA championship in 2014. He signed his national letter of intent to play with the Cavaliers Wednesday at a signing ceremony in the Dodge Room of the Reed Campus Center. Aaron played his freshman and sophomore years as a Wildcat “before receiving a very rare waiver to pursue soccer on this elite national level team,” explains Mark Conroy, Williston’s Director of Athletics. (U.S. Soccer requirements prevented him from continuing with his high school team.) In his time with Williston, notes assistant coach Andrew Syfu, “Aaron made an immediate impact and started on a team that earned a number eight seed in the New England Tournament his freshman year. He was one of two freshman that started and played significant minutes on a senior-heavy team. His sophomore year he played a much more prominent role and was the focus of our offense. He scored 5 goals his sophomore year and 3 goals as a freshman.” That year, he was one of just two sophomores named to the Western New England Prep School Soccer Association all-star team. More recently, Top Drawer Soccer rated him the number 2 club player in the Northeast region and the number 15 club forward in the country. Before joining the Revolution Academy, Aaron lived with his family in the Washington, D.C., area and played with D.C. United’s Under-14 team. He also served as captain of D.C. Stoddert’s U-13 team. 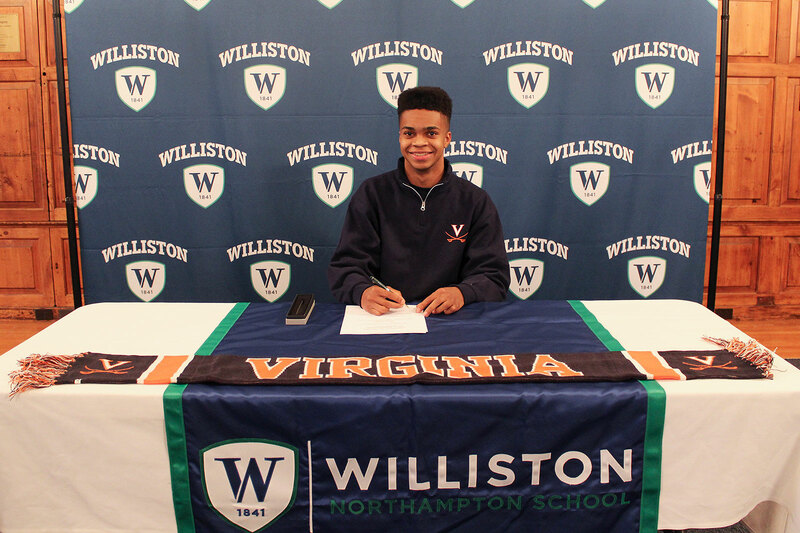 With his decision to attend Virginia, he’ll be returning to the soccer-friendly mid-Atlantic, but taking some of New England with him. Grandson, I am so very Proud of You. Your ears must stay warm, because of me bragging about your singular accomplishments. I am warming up my old car to enable it to bring me to Univ. of Virginia soccer games. May you enjoy your time at the Univ. of Virginia academically also.